Brand new! 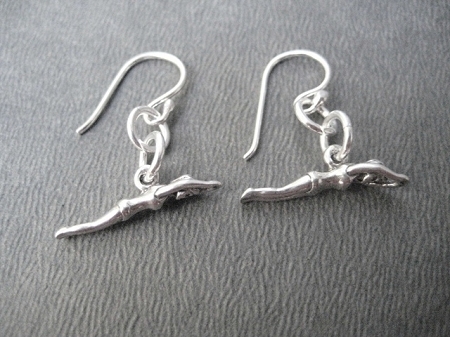 The Sterling Silver SWIMMER GIRL Earrings on Sterling Silver wire. If you swim or you love a girl who does, then show it! Shout it out... SWIM! 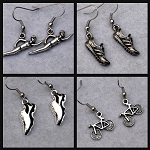 These lightweight earrings are made with 12 mm Sterling Silver French Ear Wire with a 2mm ball with a 3 dimensional 1 inch long Sterling Silver Swimmer Girl figure complete with bathing suit dangling from each ear wire.